i have just some vespas and one lambretta..anyway...cool cars guys ! greetings from italy,Rome. Greetings! Have you got any pictures of them? thank's any way I don't understood nothing what you said but I'm happy, aktually I changing engine for 1.4 turbo from uno turbo and I wanna put kit and chenge power something about 200 PS now is 127PS and 220 NM see you later in zvolen or some other place in hungary or slovakia. Could you tell us something plase about getting licences in Poland for upgrading to 1.4? Hi there, as I know no one speak Spanish, but in English we can talk. 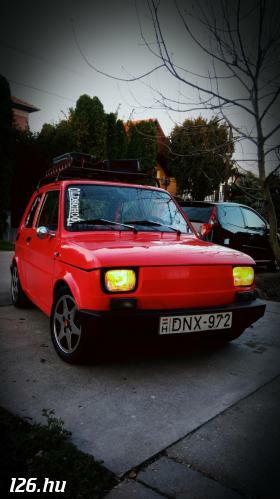 I recommend for you to use our English topic at Menu/Forum/English (http://eng.fiat126.hu/ef.php). We have lots of photos What kind of engine do you want to see? An original 126p 650 or some tuned one? As this kind of tuning we use Fiat Panda 30 cylinder head. 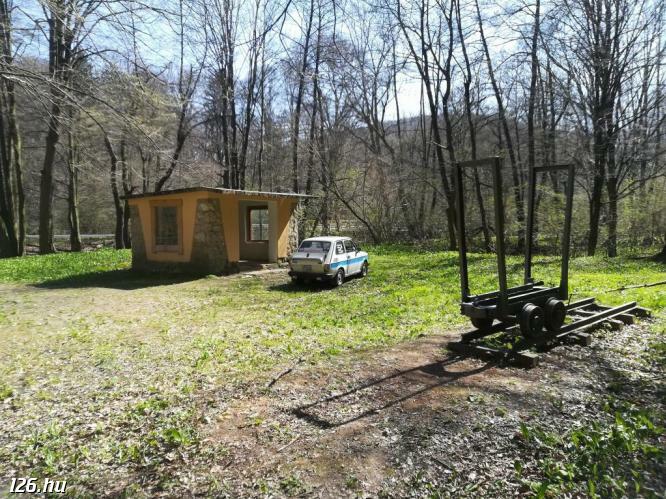 That's great because of the double inlet and easily can be fit a double carb (the original for this cylinder head is a duble Weber 30), as can be seen at http://eng.fiat126.hu/photo.php?image=3052 or at http://eng.fiat126.hu/photo.php?image=11820. We have some members who have fitted a Fiat 903 cm3 engine. We can't fit bigger such as Uno 1.4 because in Hungary it's impossible to get a license for that kind of Engines. This carb is nearly the same that have been fitted in Fiat 126 BIS (the watercooled 703 cm3 version), you can find some technical data in that car's service manual what can be find at Books/Fiat 126 BIS: Javítási kézikönyv (EN). We usually use the Panda 30 cylinder head because it's fully compatible with the original 652 cm3 engine and has a ready intake manifold for tha double Weber 30 carb. 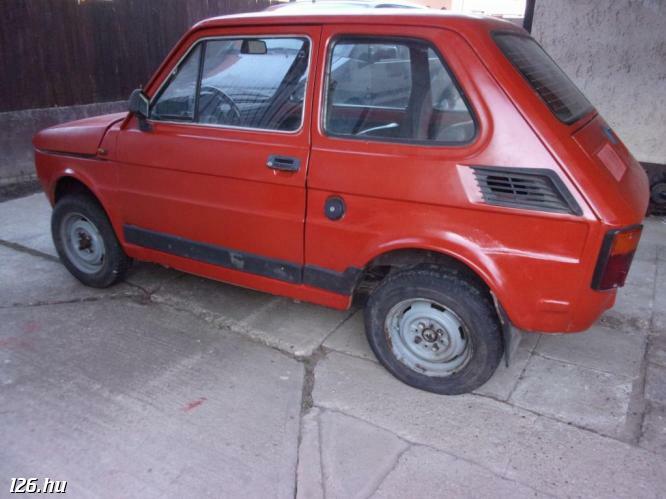 It's hard to find because Panda 30 was a rare car. You can read some about Panda 30 at http://www.fiatpanda.itgo.com/Pande/pandafilippo.htm site. If you want to buy some set I offer to look for it on eBay, it's rare but can be found. Greetings! That's "not a big thing"? Whit these wood inlays and that steering wheel? That's very nice, I like it! Your wheels are original? I've never seen this kind. About your carb: I was looking for it but I couldn't find anything. What car was manufactured with that carb originally, does it have a manufacturer and type code? carburator in russian, the number its the model. 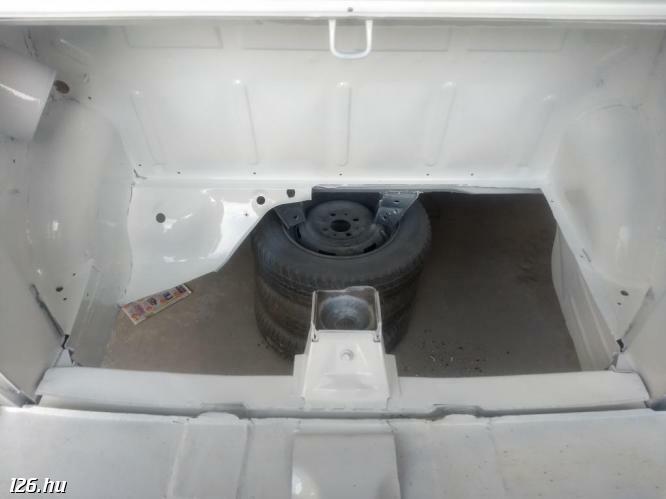 This wheel is an original Daewoo Tico sport wheel or made it at home? But if possible, please make some pictures and let us see it! Good web-site (what I can read of it!!). You guys on the continent can get hold of some great bodykits which I can't seem to find in the UK. Can you recommend any links to suppliers. 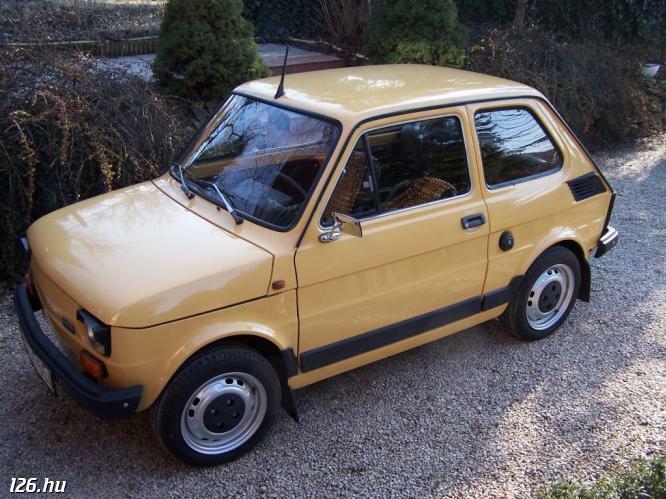 I have a 1991 Bis and would like to find a gianini rally kit (the one with the bubble arches). for my 126p, but remember that i live in cuba, if any body of you have some information please answer me. We have some shops in Hungary who buy car parts directly from Poland and there we can get it. If you can use eBay, try it, the used to be this kind off stuff. Or probably we could send it to you via post, the only question is how could we get the price. Usually the transparent light is not too expensive, the whole set (front, side and rear) costs about ~30 USD. and we actually have many owners, and some beautyfull cars. Of course if we can we will help you! how can i made a club in this page ??? What do you mean on it? will you come to our Summer Meeting? djsms #118381: Meine güter, das ist ein englischer forum! Bitte kein sprechen (screiben) deutsch! Then why are you writing in German? Schäffer Szilvia #118396: because... hmmm... I don't know..